I know this is severely belated, but Happy New Year, all! While this blog post serves as my inaugural 2016 blog post, it is more of a personal announcement post than a technical-awesomeness post. A new year often brings new beginnings, or at least new sets of goals (that usually fall by the wayside after a week or two). For me, there is a little bit of both. I won't bore you with any goals of achieving washboard abs or learning to speak conversational French (I can just use Skype Translator, after all! ), but I will highlight some employment news, and talk about my some Skype for Business community-related topics. Tomorrow, Friday, the 22nd of January, is my last day as a "Racker". Yes, after nearly 4 years at Rackspace, I am moving on. As goes the cliche, it is very bittersweet. While I am very excited about the adventure that lies ahead of me in my new position, and the next step in my career, Rackspace has been a phenomenal company to work for. Racker's are truly like an extension of family (the good kind, lol), and the culture is the envy of many companies. I would like to thank Rackspace, my fellow Rackers, and especially my incredible managers, for all the years of opportunity to be a part of something unique and amazing. Rackspace prides itself on its Fanatical Support, and I truly believe it has built a solid reputation around this principle in the hosting industry. I am proud to have been a part of that! So, what's next? This Monday, January 25th, will be my first day as a Unified Communications Architect at Deloitte Services, LP. I could not be more excited and grateful for this opportunity, and am really looking forward to getting oriented, meeting my team, and digging into some awesome UC deployments! I believe this role will bring tremendous opportunity to grow my knowledge and skill sets, and to give me exposure to a plethora of new (to me) configurations that I have been eager to sink my teeth into. As you can imagine, I have been busy winding things down at Rackspace, and getting all my ducks in a row for starting at Deloitte, and as a result this blog has been a little quiet over the last month (que the cricket noise). While I am sure that I will remain quite busy in the coming months as I get settled into my new role and start taking on various responsibilities and tasks, I will try to do better at keeping up with fresh content and how-to posts here. So, aside from a new job, what else have I been up to? When I released my FREE eBook on December 1st last year, it was pretty well received, but there was some work to be done. Thanks to some awesome feedback from various individuals in the community, I was able to update a chapter on User Management with accurate information and more detailed procedures, including new screenshots. I also update the few other areas in the book to reflect current information (Office 365 changes A LOT!). About a week ago I released a newly updated version of the book, Version 1.2. This version replaced the available download on the Technet Gallery. I was quite blown away by the level of support I got from the community on this follow-up release. You all Shared, Re-Tweeted, and "Liked" the heck out the links to the Download page, and as of right now, I am just under 2,000 downloads! THANK YOU ALL! I would like to give a special Thank You to Fabrizio Volpe, Office Servers and Services MVP, for your kind blog review of the book. If you are interested in the downloading a copy yourself, you can grab it FREE here: https://gallery.technet.microsoft.com/Skype-for-Business-Hybrid-9218205e. 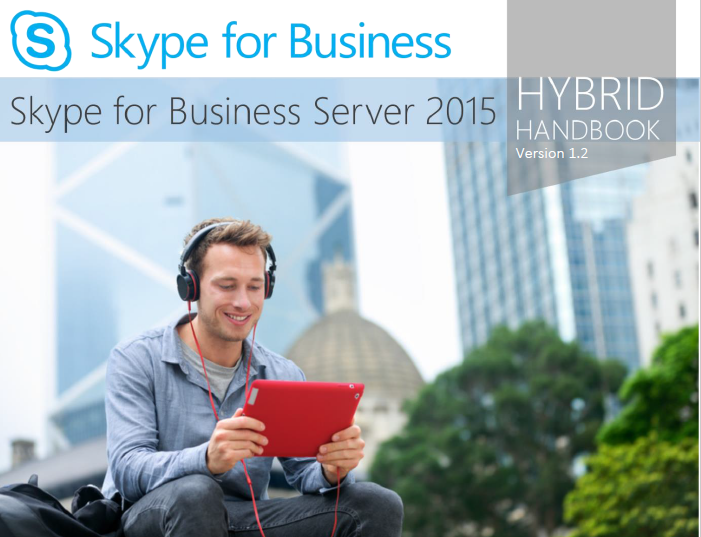 To read Fabrizio's review, check out the post here: http://www.absoluteuc.org/reading-the-skype-for-business-server-2015-hybrid-handbook. Every new year we had a better things in mind with a new journey in our life but yet sometimes some hope goes wrong but yet we wish for it. find out more that helps me a lot on my academic papers writing. Each fresh yr there were an improved items at heart using a fresh quest inside our living yet somehow at times several desire should go completely wrong yet somehow we all desire that. check it in which aids myself a whole lot about my own school paperwork creating. Every single brand-new calendar year there was a greater issues planned which has a brand-new voyage in your lifestyle only often a number of expect moves drastically wrong only many of us want to the idea more visit http://www.copychecker.org/how-to-get-away-with-plagiarism/. I will stay very hectic within the arriving several weeks when i obtain resolved in to my personal brand new part and begin dealing with numerous duties as well as duties, I'll attempt to perform much better from checking useful link up on clean content material as well as how-to articles right here. These ideas are really awesome for students so that you can imagine what you actually want in your business or other profession. Students can also get the better career opportunities.